In 2013, Paper Brain Productions launched as a full-time animation production company specializing in stylized paper-based animation. 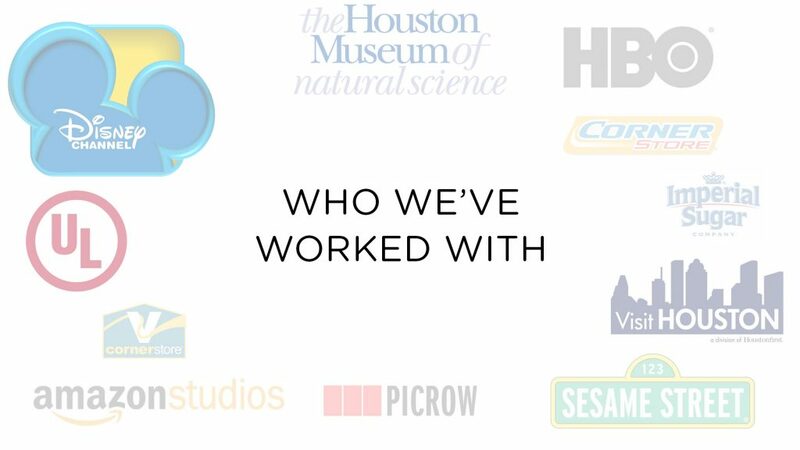 Since then, Paper Brain has won seven awards at various international film festivals, been selected to be a part of the Texas Filmmaker’s Showcase 2014, made animations for a permanent museum exhibit at the Houston Museum of Natural Science, and created animations for three seasons of the Amazon Original Series “Gortimer Gibbon’s Life on Normal Street”, Season 47 of “Sesame Street” on HBO, and recently, an episode of the Disney Channel’s “Bizaardvark”. And somewhere in-between, we’ve been a part of several fun and exciting commercial animation projects (we won a Gold Addy Award along with Rivet in 2015)! Before Paper Brain Productions, Brandon Ray animated the 2-time “Best Original Series” Vimeo Festival + Awards nominated web series Paper People Jokes, and produced an animated mini-series with Emmy-winning children’s program superstar Mark Kistler. His animations have also been Vimeo Staff Picks on four different occasions, and can be seen on Show Me the Animation, Electric Literature, and Cinebarre Theaters across the country. For inquiries about commissioned animations, contact me at bray@brandonray.net, beehray@gmail.com, or 832-275-6776.